In its latest issue, Hobby Consolas shared some more sales data for the video game market in Spain, and there’s some pretty juicy data for games on Nintendo platforms. 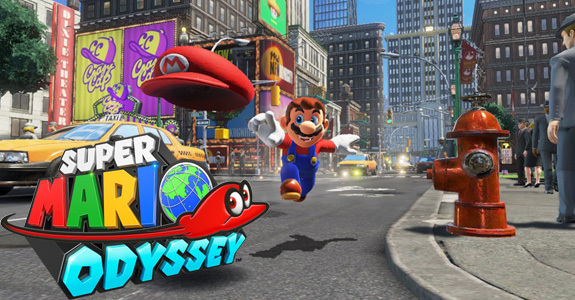 Let’s start with Super Mario Odyssey, which is off to a great start in Spain. During the first two weeks, it sold no less than 63 251 units in the country, which is a great result. There’s little reason to doubt it will easily reach 100 000 units this very year, especially with the holiday season just around the corner. On the other hand, Sonic Forces didn’t do too well (even if we take into account the fact it was released one week after Super Mario Odyssey). It sold only 4 992 units in the country (as of Week 45), including 2 994 units on the Nintendo Switch: that’s more than the PlayStation 4 and Xbox One versions combined. Hobby Consolas also shared some LTD (Life to Date) data for a few games, including The Legend of Zelda: Breath of the Wild, which has now sold over 100 397 units in Spain: a great result achieved in less than a year, and before the holiday season! Mario Kart 8 Deluxe hasn’t quite reached 100 000 units, but isn’t that far from it: it’s currently sitting at 85 000 units sold. It’s actually selling faster than The Legend of Zelda: Breath of the Wild, since it was released almost two months later. Meanwhile, Splatoon 2 seems to be selling steadily, with 45 000 units sold (up until Week 45). It should definitely be able to top 100 000 units when all is said and done. Finally, Mario + Rabbids Kingdom Battle has been enjoying strong sales, with 25 000 units sold in Spain. So how’s it doing in Europe as a whole? Hmm… I’m afraid we don’t have any data for Europe as a whole. We may get something with the latest financial results early next year (not sure when SEGA will share that, it’s usually in January).